It’s hard to improve on an icon; people simply expect too much. 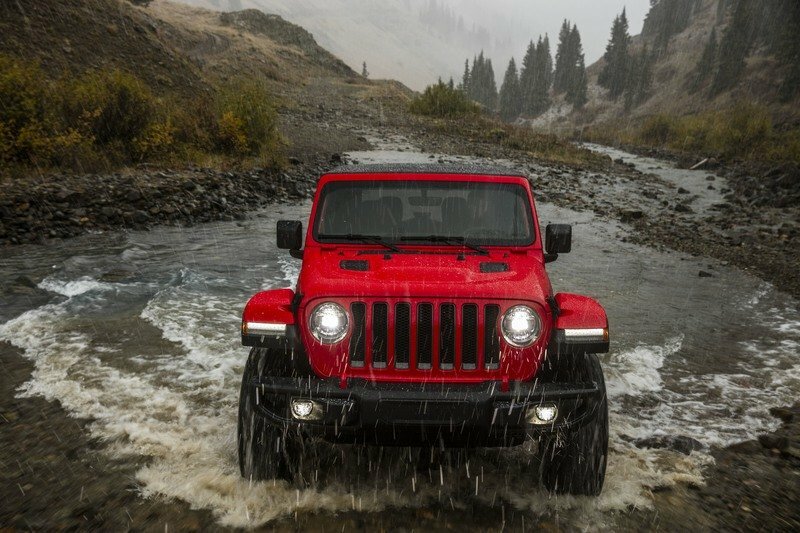 Yet somehow, Jeep has accomplished the impossible with the all-new 2018 Wrangler JL. 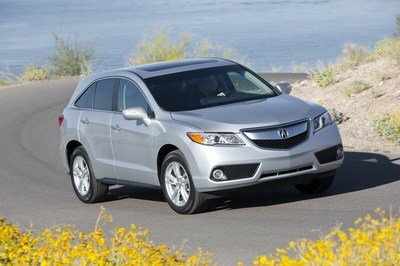 Every nut and bolt has been improved for better on-road comfort, off-road performance, and even fuel economy. 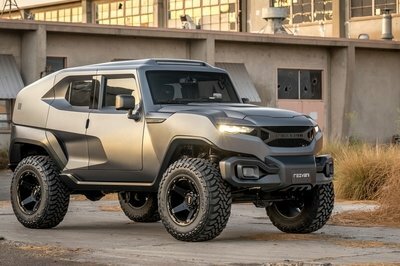 Much of this is credited to the 200-pound weight reduction thanks to aluminum doors, hood, windshield frame, and tailgate. 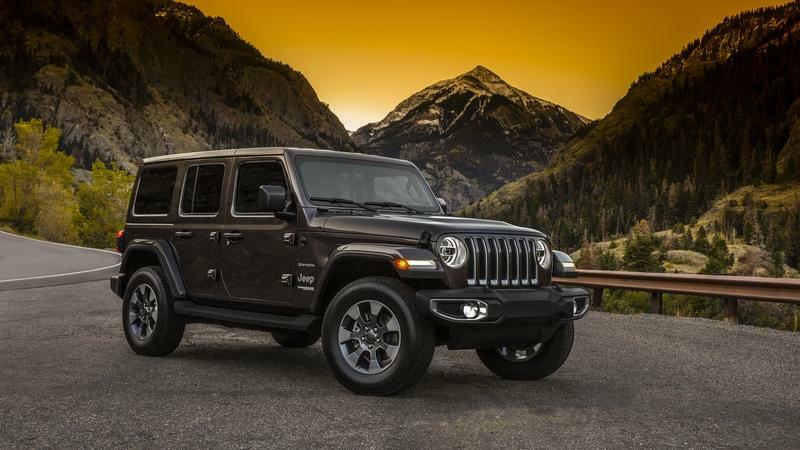 The diet combines with Jeep’s new hybridized 2.0-liter Hurricane turbo-four and an eight-speed automatic for the best fuel economy ever in a Wrangler. Even the familiar 3.6-liter Pentastar V-6 returns with fuel-sipping improvements. But those chasing the ultimate fuel efficiency will love the 3.0-liter EcoDiesel V-6 coming in 2019. Hard numbers show the Pentastar-powered 2018 Wrangler Unlimited getting 17 mpg city, 23 mpg highway with the new six-speed manual transmission and 18 and 23 mpg with the eight-speed auto. That’s a respectable jump from the outgoing Wrangler JK’s EPA-estimated numbers of 16/20 and 16/21, respectively. Replacing the old five-speed automatic certainly helped. Jeep hasn’t released fuel economy information on the 2.0-liter at this point. 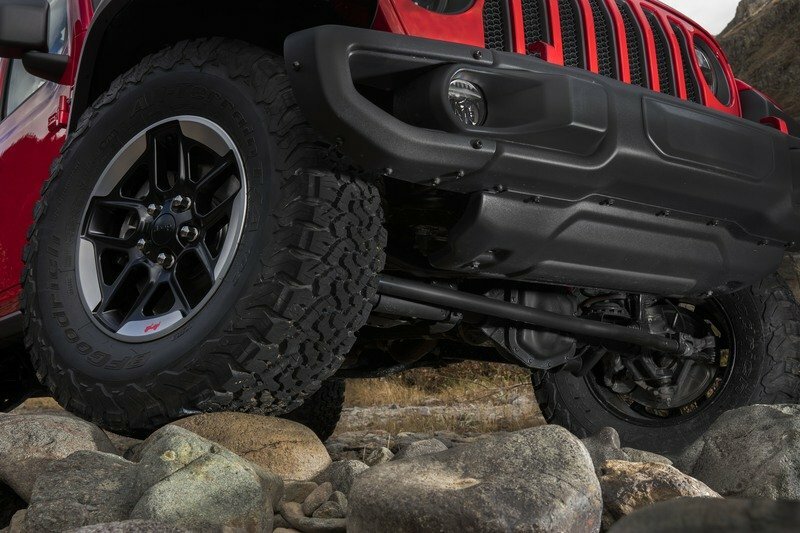 As for off-road performance, the hard-core Rubicon model now comes with 33-inch-tall BFGoodrich All-Terrain T/A KO2 tires rather than the 32-inch Mud-Terrain T/A KM tires found on the Rubicon JK. Better yet, the new Rubicon has taller front fenders than other Wrangler JL trims. Jeep says the larger openings allow for 35-inch tires without modifications. For those who want bigger, the Wrangler is “package protected” for a two-inch suspension lift, meaning it will be easier than ever to upgrade. Naturally, Mopar is offering a full array of parts – more than 200, at this point. 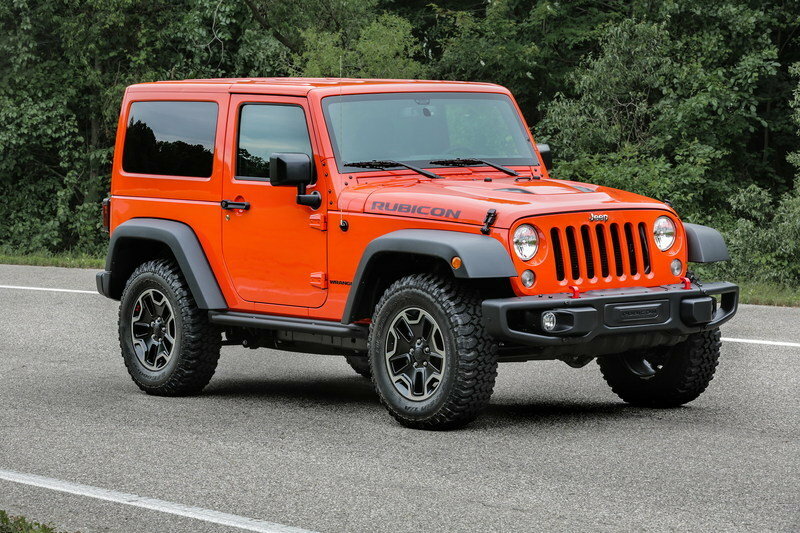 The 2018 Jeep Wrangler Rubicon also seen improvements with its axles and transfer case. The new axles are still Dana 44s, but they are a new generation of Dana 44s with improved strength. The Rock-Track transfer case now has a lower crawl ratio for serious off-roading. It improves from 73:1 to 84:1. Non-Rubicon Wranglers get the Command-Trac transfer case. Optional on the luxury-minded Sahara is Jeep’s new Selec-Trac transfer case. It’s still a part-time system, but now includes a “4Auto” mode for full-time 4WD. Jeep loyalists will be happy with larger windows all around for improved visibility. Blind Spot monitoring is also available for the first time, and a backup camera is now standard – also a first for the Wrangler. The open-air experience has even improved. The new aluminum doors are easier to remove thanks to less weight and an incorporated hand-grab on the underside of the armrest. The new windshield is also easier to fold. It only takes four bolts to fold flat and is easily secured in the lowered position. High-strength steel is used in the roll bars and the new solid A-pillars the windshield mounts to. More high-strength steel is found in the all-new hydroformed ladder frame. Jeep says the frame is more rigid than the JK’s yet is lighter. Needless to say, these improvements comprise to make a better Wrangler. 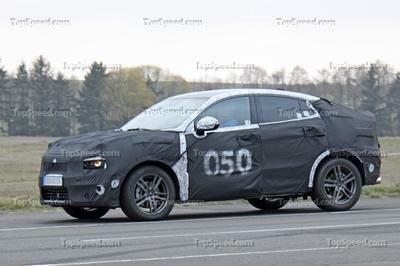 The new model will appeal to a wider audience thanks to the improved efficiency, more livable cabin, better drivability, and improved ease of modification. 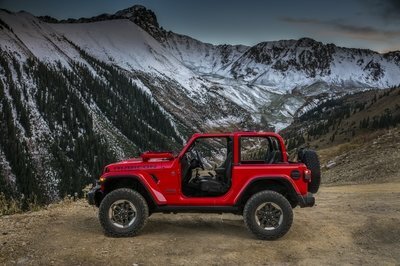 The Wrangler will go on sale starting in January 2018. Prices have not been confirmed. 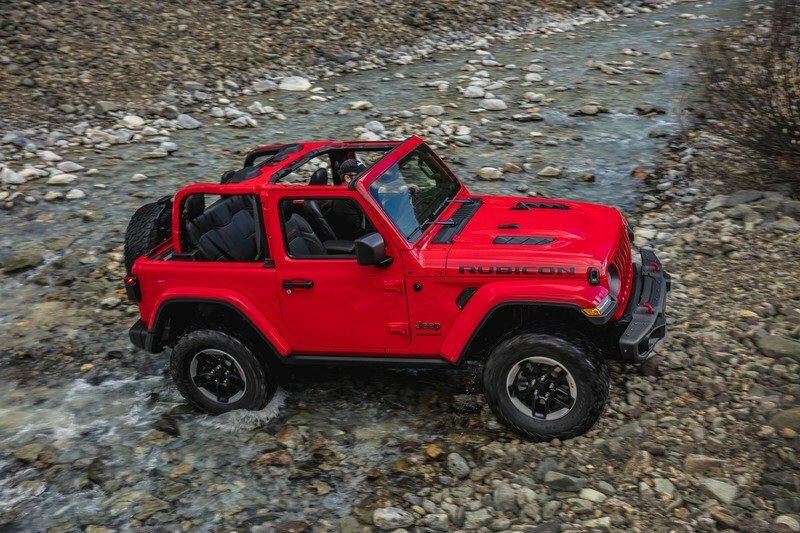 Stay tuned to [TopSpeed.com for more Jeep Wrangler news. 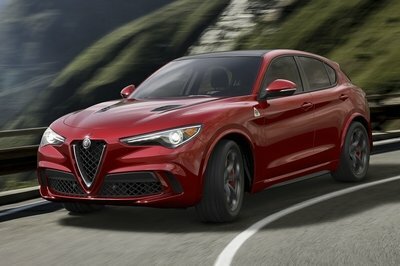 We’ll also be behind the wheel on December 5, so check follow our Facebook page for live videos and photos.